I would like to add to Gene's comments. I have also noticed an increasing maturity in Santa Fe's writing and contribution to the forum. He is very exuberant and that's good. Life and learning should be exciting. You will no doubt have the 44 apart to install a decoder. When you do, would you please compare the chassis/running gear to that of the GE 70 Ton? They appear to be the same, if so it brings up an interesting question. The 44 is a Spectrum, but only DCC ready and retails for $90. The GE is not a Spectrum, yet is DCC equipped and sells for only $65.?? I would like a picture of the 44 chassis if we can hook up with email. I also have some other questions. This 44 ton link is right out of the Bachmann products section up top. Here is a link to the 70 ton diesel. I do not have a diagram of the 70 ton parts. I am not into diesels but I will try to answer some of your questions. The loco is a Spectrum DCC ready which for this loco means only an isolated motor. You have to hard wire the decoder. There is no plug. I just want this 44 ton as a base for a Climax loco using the old MDC Climax shell. A couple others have done this. Another person is installing the old MDC box cab ovee the 44 ton chassis. It is a good idea to cut out the two yellow capacitors if you go to DCC. The side frames come off the trucks and you can install frames that you make up. From the top of the grear tower to the top of the rail is 0.760 inches. The truck wheelbase measures about 6 1/2 feet. Again, go to The Favorite Spot on ebay. They carry a large assortment of Bachmann products. The Spectrum 44 ton is GE. I just paid $30 with shipping for a new one and they have very good customer service. Their Buy It Now is $34 plus shipping. They are single motor types. I don't buy from the Spot. My specific question is, why does the 44 cost so much more than the 70.? I appreciate your posting the chassis picture. The one piece casting rules out stretching. And I have more experince with trains now. Did you know before this fourm, I didn't even know steam locomotives had wheel alinment numbers! After I ran around looking for engines in the topic, "Anyone need anything", I can tell what the loco is by just a glance. To go back to the beginning of the thread. The 44 tonner is advertised at $39.99 at Trainworld. I just used a hobby shop that I had never heard of -Golf Manor Hobbies. They have parts for all kinds of discontinued and obsolete loco's. Their service is good and prices reasonable. They also do repairs if yyou are not inclined to do them yourself. That would be "... wheel arrangement..."
Golf Manor does do work on locos - bring your checkbook. I have actually been in their shop. Quite a place. I was toying around with my low-set open hopper car, Southern Railroad and Bachman mineral brown/red, and I had two bags of artifically made coal. I inspected it with my hands and noticed I left a black powered-like stain on your hands. I filled 1/4 of a gallon-sized bag, put my Southern 3-bay hopper inside the baggie with the coal, then closed it. I turned it over and over like a dryer, and took it out, with shaking of the leftover 'coal' of the hopper back into the bag. I inspected it, it was weathered with coal black slightly over it, which meant it was 'weathered'. That the 'E-Z' way of weathering- if you like it like that. I remember that 'Chopped Goat' thing, it was the first on the list when I started. your mind just really misplaces them in the half of your brain your body doesn't use. The easiest way to weather is to buy from someone who has had their stuff on display on open shelves for a number of years. Like Ed's hobbies in Oak Lawn,IL. He buys junkers or newbies and leaves them on open shelves. 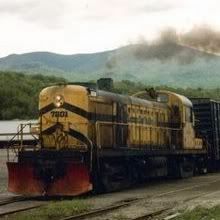 Once I saw an ATSF EMD F7 locomotive, it was mint. Then a couple more months later, it was having some grease smuges here and there. It looked professionally weathered. Plus it wasn't even out of the box, the box was on the shelves, they must of touched it, they also seem to have a dirty place! 1. Placed order for 4 items on 4/29/08. 2. On 5/1/08 The order status page says that all items are allocated and order is processing. "Order 136205- the woodland scenics item just came in today- your order should ship on Monday. I am sorry for the delay. You will get an email with trcking info when it ships. 4. Called them yesterday 5/5/08 and spoke with Bea who said that they were still waiting on the trees. I told her that I received the email from her stating that the trees were already in. She said, "Oh. Then I guess your order will ship today. But the $12.00 you paid was only a deposit for the express mail." I told here to ship it standard FedEx then. I do apologize for the delay. The reason for the delay was that the $12 shipping deposit did not cover the shipping cost for this order. Since this was not relayed correctly to you, I have gone ahead and had them ship your order and I will cover the $4.45 that was short. Tracking info has been added to your order and should update sometime this evening. I hope this acceptable to you. Hmmm. A week is not too bad to get my order out. But I kept getting a different story. I deal with 3 or 4 shops over the internert and it has never take a week to get an order out In fact I have sometimes received the order in a week and that is shipping cross borders into Canada. I placed an order with Trainworld on May 2 and they told me that my order would go the same day.Let us know when yours arrives . answer any questions I might have. If he doesn't have the answer, he will get someone on the phone that does. or push 1 for this or 2 for that. 250 miles away, but most items are shipped the same day as ordered. I may pay more, but I don't care. We live by the ABC policy "Always Buy Colorado". cutthroat internet companies, especially one that sells locos dirt cheap on Ebay. answer is don't buy from them.